According to various media commentators, the rapid Arab League mobilisation against Syria is proof of the organisation rising to an urgent collective responsibility against impending dangers. However, such an assumption is either misguided or misconstrued. The so-called Arab Spring has largely been credited for the League’s actions. While the revolutions in Tunisia, Egypt and Yemen have indeed introduced a new factor — the people — that will affect any future political trends in Arab and Middle Eastern countries, it is misleading to claim that the League has been empowered by such a collective movement. The ability to champion decipherable foreign policy shifts could only follow fundamental shifts in the political attitudes of such consequential member states as Egypt, which, frankly, are yet to take place. 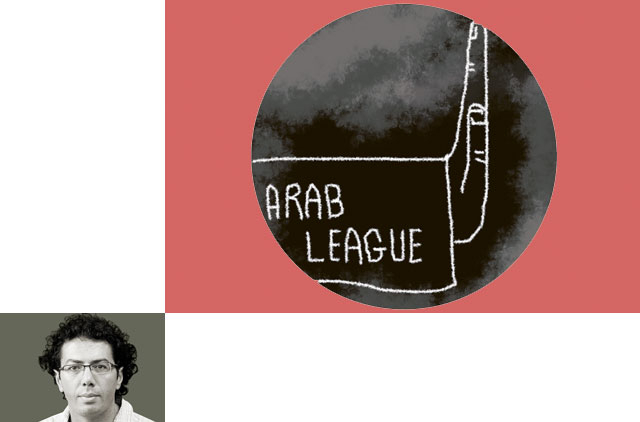 While the League’s new-found power might not be a reflection of a genuine desire to assume a leadership role, it is at least a fretful response to the court of Arab public opinion. “Gone are the days when Arab leaders could act with total disregard for their people’s opinions,” wrote Robert M. Danin, a senior fellow at the Council on Foreign Relations. “Public opinion throughout the Arab world resoundingly disapproved of Gaddafi’s behaviour, and now of [Bashar] Al Assad’s. This sentiment is motivating Arab leaders to respond to their people’s anger, through the Arab League” (CNN.com, December 1). But why are such enthusiastic actions confined to Libya and Syria, which have been decidedly demonised by western powers? Surely Danin realises that Arab popular opinion is not exclusively focused on these two nations. Libya’s Muammar Gaddafi was hardly on Arab public opinion radar, and few seemed concerned with Al Assad’s domestic policies before his regime’s crackdown on protesters. The latter had, in fact, garnered many fans throughout Arab countries owing to his support of the Hezbollah, which has twice defeated Israeli military designs in south Lebanon. A quick overview of history may be useful here. The League, since it was founded in 1945 by merely six Arab countries, shifted its allegiance to any centre of power that happened to dominate the Arab world. When Egyptian president Jamal Abdul Nasser sat on the throne of Arab nationalism, the League seemed anti-colonial to the core, locking horns with the most powerful western countries on behalf of Arab nations seeking independence. Palestine became the rallying cry of Arabs, as League members didn’t hesitate to use military and economic might to help Palestinians achieve freedom. When Egypt’s far less popular president Anwar Sadat signed the Camp David agreement with Israel in 1978, the League still possessed a semblance of resolve. League members rejected both Sadat and his undemocratic initiative, which disjointed the ‘Arab front’ and once again shifted the centre of power elsewhere. In later years, the League became devoid of any real value as a political institution. Its overriding political objectives — of unity and economic integration — faded into oblivion. The League’s response to Libya and Syria cannot be explained by the Arab Spring, but there are some other signs that point to an explanation. A major clue can be found in the League Summit held in Damascus on March 29, 2008, which reflected the deep chasm dividing the Arabs. Egypt and Saudi Arabia sent low-level representatives to attend the conference, while others boycotted the summit altogether. Points of contention between competing Arab camps included Syria’s role in Lebanon and Iran’s influence in the region. Al Assad, who saw his country as the engine that would steer the Arab fold back to its days of glory under Nasser, had, more or less, a free podium to present a new vision of the Arab world. Gaddafi, on the other hand, had one of his freest platforms to express ideas almost never communicated on a stage defined by tedious formalities and little action. In addition to criticising the Arabs for doing nothing as the US invaded and destroyed Iraq, Gaddafi asked: “Where is the Arabs’ dignity, their future, their very existence? Everything has disappeared … Our blood and our language may be one, but there is nothing that can unite us … We hate each other, we wish ill of each other and our intelligence services conspire against each other. We are our own enemy” (as reported by Al Jazeera and cited by Bridget Johnson in About.com). Gaddafi, no saint by any standard, paid heavily for his intransigence — with a Nato war coupled by enthusiastic League approval and participation. No surprises here. Al Assad, whose crackdown on Syrian protesters has been harrowing to say the least, is also facing the wrath of the League. Interestingly, aside from its response to Syria and Libya, the League still remains as irrelevant as ever. For example, on November 29, the UN-designated International Day of Solidarity with the Palestinian People, the League’s Secretary-General Nabeel Al Arabi said: “Israel’s disregard for international law, public opinion and human rights conventions is far beyond all limits” (Middle East Monitor. December 1). True, but this indignation remains confined to press releases and fiery statements. If ‘Arab public opinion’ was indeed of much concern, the League would have pushed the issue of Palestine with all of its might and resources. The fact is, the activation of the League will not endure. It is a temporary renewal aimed at realising regional policies, punishing or isolating old foes, and ultimately redrawing the centres of powers in the region. This largely resembles its behaviour following the second Gulf war in 1990-91. The so-called Arab Spring has really done little to truly revolutionise the political institution, which continues to tread between its members’ own political ambitions and outside influences and pressures. Ramzy Baroud is an internationally-syndicated columnist and the editor of PalestineChronicle.com. His latest book is My Father Was a Freedom Fighter: Gaza’s Untold Story.